We would like to share our recent real estate purchase experience with you.Two years ago we relocated to Nevada County from New York and, while temporarily renting a home in the Morgan Ranch neighborhood of Grass Valley , had the good fortune of becoming acquainted with realtors, Pam and Bill Sikes. Having bought and sold a few houses in the past; we were quite familiar with the process and understood the importance of having a realtor who really listened to our needs and did not waste our time showing us properties that did not fit us. Pam and Bill were extremely patient with us. We never felt any pressure to make a purchase in order to “make a sale”. They are very knowledgeable of the area and a great resource for answers to any questions that arose for us (and there were many). After more then one year of working with Pam and Bill, we found and bought our “dream” home and couldn’t be happier. The whole process was a positive experience and, thanks to them, quite seamless. We, without reservation, highly recommend Pam & Bill Sikes for any real estate needs. While considering a move to Lake Wildwood, CA, We had the good fortune of opening a phone book and arbitrarily selecting Pam Sikes as our real estate agent. In just a brief telephone conversation, Pam asked all the right questions, processed our concerns and wish list. Within days we received notifications of homes tailored to our taste. We had a home to sell in So. Calif. before we would be in a position to buy in Lake Wildwood and the entire transaction took a year. Pam remained patiient and attentive throughout the process and regularly sent us info on prospective homes which fit our wish list ultimately finding our dream house in Lake Wildwood. Pam’s professionalism and patience never wavered and today we are delighted to refer to her as our friend. One more note, I worked as a transaction coordinator for a large real estate firm (26 realtors) in So.Cal for a number of years and understand the effort and ethic required to be a reputable professional in the business of buying and selling homes. Pam is absolutely one of the most impressive agents I have met. You could not be in better hands!!! Two years ago we were searching for a lake and golf community that would eventually become our retirement home. Luckily for us, Bill Sikes’ informative website came to the forefront on a web search. From there we met both Pam and Bill. We still had a house to sell in another area, which took almost 2 years (wish Pam did business in that area as well!). Pam was patient and understanding and kept us apprised of the real estate market in Lake Wildwood, a community that we fell in love with instantly. She answered endless questions and was always a joy to talk with even though we weren’t truly clients yet. Eventually in October 2006 we sold the other property and with Pam’s assistance we found our current home on Sun Forest. In the last two years she had come to understand what our needs were in a home and showed us only those that fit in that category. That made house searching much more efficient since we don’t live in the area full time and our time was precious. We found our home quickly and in all our real estate dealings in the 40 years we have been married, no escrow has gone so smoothly. Pam and her Network Realty team made it as easy as escrows can be. When questions arose she handled them with grace and professionalism. I think that the sellers would wholeheartedly agree too. 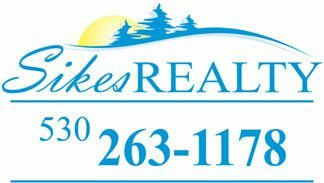 Pam and Bill have been residents in Lake Wildwood for many years and we drew upon their knowledge not only on real estate matters but where to find contractors, buy furniture, about community activities etc. And the most important… where to get a good haircut! All great recommendations! We don’t live up in Wildwood full time yet and have found that Pam periodically checks on our property in our absence. She also will give access to tradesmen if needed. Even after 6 months Pam still calls to check on us and we love that she does. We would recommend Pam Sikes without reservation! Worked with Pam on a current listing as the owner. She is an ultimate professional that provided good advice in preparing the house for listing and was never hesitant in a very pleasant way to suggest things that would make a difference. Text, e-mail and voice mail were always responded to within a few hours. A seasoned veteran with lots of energy and a great smile that is involved in 30 % of the houses similar to the one that just went on the market. I feel like I have made the right selection for an agent in Pam. Pam helped my wife and I review numerous homes in Lake Wildwood – she quickly got a sense of what we were looking for based on our comments of the various homes that we looked at with her over the course of a couple of months. Then she called us one Friday night and let us know about a new home that was just coming on the market that she felt was going to be the answer to our dreams – and she was exactly right! We knew very quickly that she had found the perfect home for us – we even wrote up an offer for the home that same afternoon – it was quickly accepted (we made a very nice offer!) – and that beautiful dream home is now officially our new principal residence – all thanks to the great instincts and perseverance of our realtor, Pam Sikes. We can’t thank her enough for all the attention to details and making the entire transaction as smooth as possible – Pam even managed to find our dream home that included the most wonderful dream sellers one could ever hope for – and now those sellers have become close friends of ours! Thanks again to Pam for introducing us! It’s my pleasure to write about our wonderful experience with Pam Sikes. When we decided to move from Los Angeles to Penn Valley, we needed a agent that could match our needs to the right house….someone who was patient with our many questions and willing to communicate back and forth long distance so we felt informed. Pam was a true gem throughout the whole process of shopping for and then negotiating terms for a smooth escrow. We are so happy in our new home and owe a million thanks to Pam for all of her effort on our behalf. It is our pleasure to recommend Pam Sikes. We first met Pam when we were looking to relocate to Penn Valley (specifically Lake Wildwood) from Los Angeles. Her thorough knowledge of the area and the current market activity made our search productive and successful. Pam really listens…such an important quality when dealing with big decisions and money. She’s energetic and clearly enjoys what she does. Pam is at all times a professional. When we were ready to sell, we knew that we’d be in good hands again with Pam’s representation. Both escrows went smoothly and closed with no delays or hiccups. Pam’s husband and partner, Bill, is also a lovely person and very hands-on during escrow, overseeing inspections and necessary repairs. So it’s like getting two pros for the price of one! Aside from our business relationship with Pam and Bill, we feel lucky to call them friends. We whole-heartedly recommend Pam Sikes! The information on this form is from various sources. It has not been verified by Sikes Realty, the brokers, the agents, nor the Nevada County Multiple Listing Service. Buyers, Sellers or any interested party are advised to hire appropriate experts and professionals to verify information. Sikes Realty and its agents are licensed by the Department of Real Estate, State of California.